the fash pack: macbook mini? 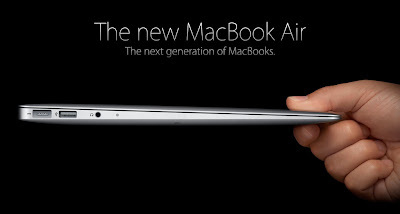 and while we were, er, schlepping in macau, apple released a new macbook air—11 inches, baby!! could it be? the macbook mini of our dreams is now a reality?? we gotta see it in the flesh! (or should we say, in the metal..?) it's now available in the US, but we don't have to fly all the way there because it should land in manila within the week!!! wheeee!! !